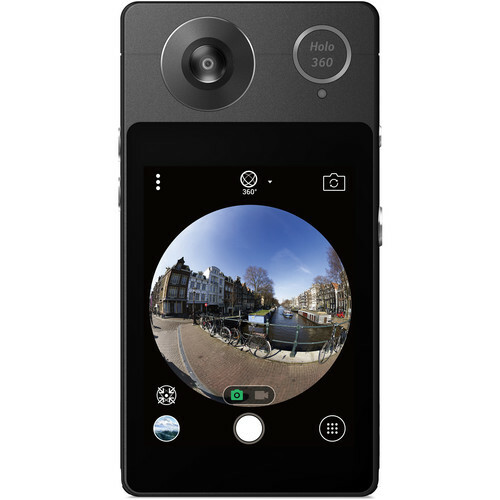 Xiaomi, makers of the popular Xiaomi Mijia Mi Sphere 360 camera announced a new portable 360 camera looking more than a little familiar to the Insta360 Air. It mounts to your phone like the Air but what sets it apart is the price. To sell for a mere $60 US this seems like an impulse buy item. The device is equipped with a USB Type-C connector, the weight of the camera is only 23.5 grams, which makes it possible to carry it with you without any problems. A companion mobile application allows you to view footage, as well as perform simple editing operations. Uploading to social platforms is also possible. The camera is equipped with two 13-megapixel modules on opposite sides. The maximum aperture is f / 1.8. Each provides a field of view of 210 degrees. The camera contains electronic image stabilization. Camera resolution is 5K – with a resolution of 5276 × 2688 pixels. The file type is JPEG. Video is recorded at a rather low resolution of 1920 × 960 pixels at 30 frames per second. For comparison this is the Insta360 Air and Insta360 Nano’s resolutions. 360 video support gets further support from Facebook today. Facebook has instroduced a 360 Community page, which is aimed at anyone making (or wanting to make) 360-degree videos to upload to Facebook. Offering tutorials on camera usage, video editing tips and spatial audio, the program also offers a ‘camera loaner program’ in partnership with 360 video firm Blend Media, to help people get their hands on 360-capable cameras. Additionally Facebook is also launching a suite of software tools for creating 360-degree videos under the banner of 360 Director. You can also join the Facebook community page here.